The General Services Administration has released a draft request for quotation for a potential 10-year, $7.8B single-award blanket purchase agreement to provide an enterprise cloud service for the Department of Defense. 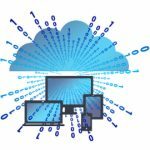 A FedBizOpps notice published Thursday says the Defense Enterprise Office Solution firm-fixed-price BPA under GSA’s Information Technology Schedule 70 seeks to provide DoD with an integrated cloud platform for communications, productivity and collaboration. According to the draft RFQ, GSA will evaluate potential vendors based on proposed technical or management approach, past performance and price. The technical or management approach covers several subfactors such as NIPRNet and SIPRNet within and outside the U.S.; cybersecurity; management plan; milestone schedule; and transition and decommission strategy. The DEOS BPA intends to deliver key IT capabilities such as productivity suite; messaging; content management; collaboration; video; and voice services; as well as supporting infrastructure and services including cybersecurity; hosting; and network services, according to the draft performance work statement. Questions on the draft RFQ are due Feb. 15. GSA and the Defense Information Systems Agency teamed up to compete DEOS as a single-award BPA, which is expected to be awarded in April.